Drones, or unmanned aerial vehicles (UAVs), now have a home for repair, maintenance, and inspection at Jet Center Medford. The FAA Part 145 Repair Station has been named a qualified repair station for the Robotic Skies Service Center network, the nation’s first such group working to keep UAVs, or remotely piloted aircraft (RPA), flying safely. “We feel quite honored to be invited to participate with Robotic Skies, making history as we go. Drones are an exciting, quickly growing field in the aviation industry and it’s important that they are properly maintained and repaired as per factory and FAA requirements. Our partnership with Robotic Skies combines our excellent team of aviation technicians, and a company maintaining the latest developments and factory requirements in the field of UAVs,” said Danny George, Jet Center Medford President. Jet Center Medford is the only Robotic Skies Service Center in Southern Oregon; so far dozens of service centers across the country have been chosen for the network. Jet Center Medford, which has provided aircraft service and repair since 1967, is an independently operated Fixed Base Operation (FBO). As an FAA-certified Repair Station GCPR185E, we feature FAA-certified service technicians with Airframe Class 1 and Class 3, Radio Class 1 and Class 2, and Limited ratings. Robotic Skies focuses on the certification, distribution and ongoing maintenance of the emerging personal and commercial drone fleet, which includes maintenance, repair, and inspections. “We look for shops that have a solid brand image, a good relationship with the FAA, and of course the technical capability to service at least avionics, and in the case of Jet Center, airframes as well. We also look for forward-thinking repair stations that are constantly seeking new markets and opportunities, and realize the advantage of getting in on the ground floor of an emerging market segment like UAS,” said Hayden. Drones are controlled by onboard computers or by remote control. They typically feature an onboard camera and are utilized for a variety of uses, including scientific research, crop surveys, filmmaking, search and rescue efforts, power lines and pipelines inspections, delivering supplies to remote or inaccessible areas, and real estate filming. Launched in February 2014, Robotic Skies is an advanced technology-marketing project with roots in Kings Avionics, an FAA-approved repair station. After assessing aviation market trends at the close of the 20th century, the company determined that drones were aviation’s growth opportunity for this century with vast potential. Robotic Skies instructors work with UAV factory representatives to train technicians on airworthiness procedures and regulatory requirements as they develop. Through a unique service center model, Robotic Skies has the ability to provide maintenance coverage to almost any location in the country, and many international regions as well. 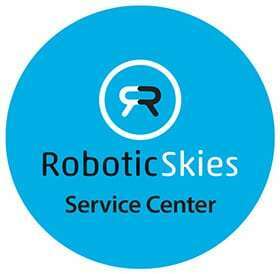 Robotic Skies Service Centers are managed via a cloud-based application that has the ability to track specific airframes, power plants, avionics, life or time-limited components, and command and control systems. Robotic Skies customers can upload and update make-and-model specific technical data, with maintenance and inspection procedures that satisfy FAA requirements for instructions for continued airworthiness. Find out more about Robotic Skies at www.roboticskies.com.